It was a hastily arranged, largely un-planned attempt to give a couple of friend’s boys their first taste of wild-camping. The fickle UK weather meant the destination changed hourly until I decided we were going to Wales come hell or high-water – almost both almost came true! A dark, damp night followed a late trip up from London. Pitching at Dolgam campsite in Capel Curig, dinner at the Tyn y Coed pub provided a welcome respite from the blustery rain. The next morning we de-camped to the Pinnacle Cafe for breakfast and to re-check the weather forecast at Plas y Brenin, which confirmed that though the rain was here to stay, there was a chance of a break on Sunday morning. At least it would be good trial of the Berghaus Deluge over-trousers supplied to test by Go Outdoors. The original plan in mind was heading over the Carneddau towards a wildcamp by Melynllyn, but the weather was going to thwart a high level route so a new plan was hatched. We were to leave the cars in Capel Curig and take a lower-level route north, past Llyn Colwyd, over to Cwm Eigiau and then head up to Dulyn reservoir from the east. By a lake is always a good wildcamp spot though in the back of my mind I seemed to recall mention of a bothy in the area. So a quick re-pack of our stuff and we headed off around midday, heading north up towards the S-W tip of Llyn Cowlyd. Head to toe in waterproofs we trudged along the shore of the reservoir before heading north and over to the next valley and Llyn Eigiau. By now any leak in our boots was exposed and we were all suffering squelchy feet to some extent. The Berghaus Deluge overtrousers were still beading nicely and the two-way zipper offered some ventilation whilst still affording some protection with the popper-ed storm flap. Heading NW along the old dam wall we reached the car-park, which was one of the earlier suggested entry points. With a few miles still to go and the rain continuing, the guys were keeping an eye-out for a suitable camp-spot which could offer more shelter but we headed past Maeneira and turned west up the northern flank of the Dulyn valley as the rain eased slightly. It was a bit of a slog through the largely path-less and boggy terrain, forever upwards, the head of the valley seemingly inches away but never getting nearer. I forged ahead, mainly as I was unsure if there was actually a suitable camp-spot by the lake – I wanted to check it out and make sure in case I had to suggest an embarrassed retreat! Dulyn reservoir is a dark and forboding place, especially in the rain and the fading light. 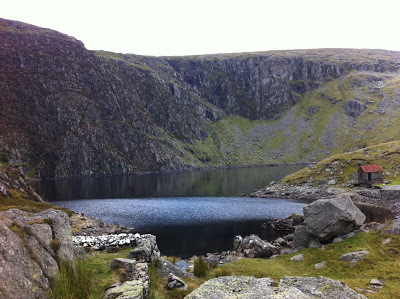 The reservoir is bounded on three sides by steep dark cliffs, leaving only the eastern side accessible, A quick scout around found a couple of possible campspots amongst the rocky outcrops. I dropped off my pack and had another explore and soon spotted what appeared to be the fabled bothy – result! In the small porch was a 2litre carton of milk, still in date and signalling recent occupation. The bothy was empty, clean, dry and a real find. Positively palatial with a table and chairs, a stove (no coal) and shelves with an assortment of left-overs it was to be our boutique hotel for the evening. Emptying my pack I realised that everything was soaked and whilst most bits were protected by Exped dry-bags, my down sleeping bag was rather wet. I don’t use a pack-liner, preferring to pack items in individual Exped dry-sacks. I’d packed my sleeping bag in it’s original PHD stuff-sack, which appeared to be waterproof nylon but I’m guessing water ingress was via the seams as it sat in the base of my pack. Schoolboy error – down bags and water really don’t mix! I draped it over a washing line strung across the room, more in hope, as it was never going to dry. We wrung out our socks, up-turned our boots, and organised ourselves, rueing the lack of coal for the stove. We settled in to what was a a cosy candle-lit evening, with a mish-mash of food – thai chicken soup, risotto and dehydrated chicken curry. My new JetBoil Sol really coming in to its own for it’s ability to boil water very fast! The morning brought the promised break in the weather and we awoke to some sun, meaning my plan of a return via Carnnedd Llewelyn was on. Heading up we met another couple of small groups who’d spent the evening on the shores of Melynllyn, which is a rather more inviting setting than Dulyn. Ascending a rib we eventually made our way up on to the Carneddau plateau above the cliffs of Cwm Eigiau, sheltering behind a rock pinnacle for elevenses, where the JetBoil once again proved it’s worth. 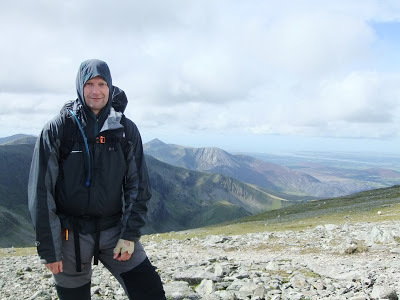 Further up the summit of Carnedd Llewelyn, provided fantastic, if blustery, panoramic views and free from the crowds. It’s a great spot with clear views across to Anglesey to the west, the Glyders and Snowdon to the south and Cadair Idris beyond. The jagged Tryfan is barely discernable from this angle as you’re directly in line with it’s north ridge, it blending into the background of the Glyders. Heading east down towards Bwlch Eyrl Fachog you are soon reminded of the height you’ve gained – it seems a long way down to the reservoir. As we were headed back to Capel Curig, rather than drop down at the col, we took the more direct route across the flank of Y Briaich before making our way steadily down to the A5 and then along a track for the final few miles back to the car. Given the weather we’d made the best of the weekend, adjusted our plans and were rewarded with a fine route back in clear weather in the Sunday. 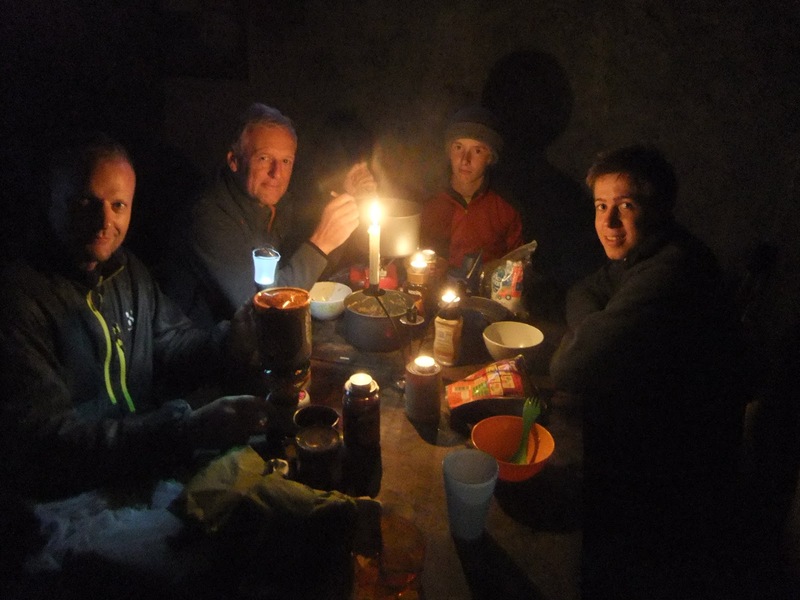 The bothy, whilst not the planned wildcamp, was welcome in the circumstances. 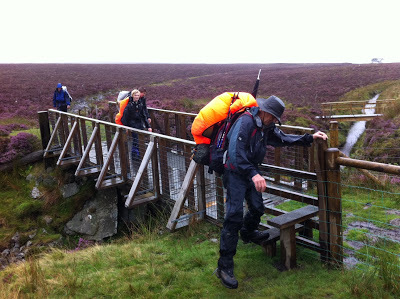 Thanks to David, Gerry and the boys for a great weekend adventure – just sorry about the wildcamp! PS. Did I mention the JetBoil is bloody fast – guess the name says it all! ← Previous Previous post: What to do in a Deluge! 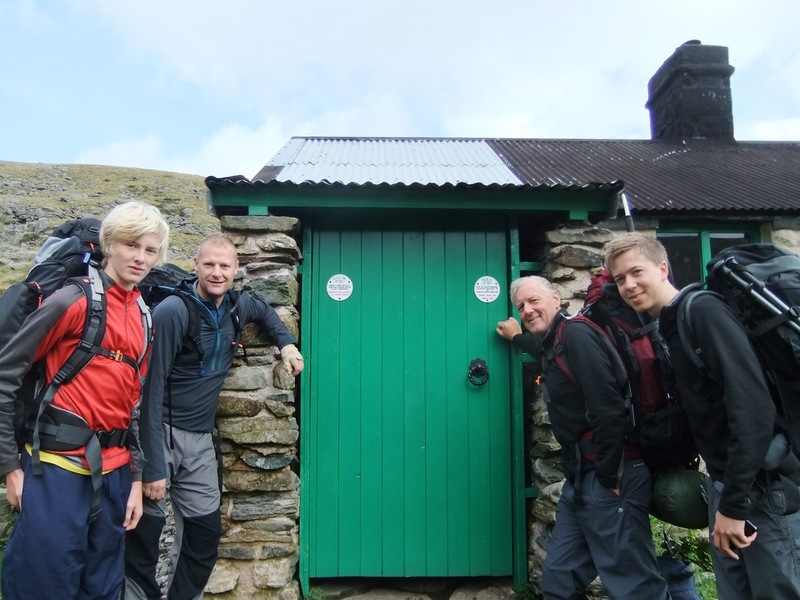 Bothy on north Wales? Who knew? Looks good too. Schoolboy error with the bag but then I'm sitting in detention next to you given my winter condensation problems in the Akto (coupled with forgetting matches for the stove). Erk! Great trip in the end – how did you find the Villain? Great pack but bit into my clavicle too much in the Alps this year above 9kg (rope adds 2kg). Shush – I think it's best we keep the bothy a secret! I like the Villain for wild-camp trips in the UK now I've got my pack weight down to a manageable level. It's not super stable – maybe a little long in the back for me, but it's practical with its extra storage options. In the Alps I use my Osprey Mutant which copes with the extra weight of rope/crampons etc. well given its minimum weight/padding. Get a Jetboil Sol – no matches needed – though I'd probably carry a lighter just in case! I'm getting an Osprey Mutant to test from Go Outdoors, but I'm also going to get a Crux Ak37 and compare the two – both for alpine use. What are your alpine plans next year? Hi Maz, next year not firmed up yet but Mont Blanc I have to do. Also want to fit in some Scottish winter climbs this coming season. How about you and did you ever try your hand (and feet) at Craggy Island? Not yet done any wall climbing – the wee fella put paid to that – but some grade 2 and 3 scrambling with Nigel Shepherd to come in November, then some Scottish Winter Grade II climbs in February/March. After that, some Monte Rosa 4000ers (Castor, Pollux, Liskamm, Signalkuppe and Breithorn I would think) in May/June next year. Ah, of course, but you could always start the wee fella early! Might be in interested in joining you in Nov is there is a spare space and definitely up for some Scottish Winter climbs! If you're looking for conscripts, then let me know! November now a bust – it would be December (work) and will let you know about Scotland. Same email as before? Hi Maz, yep, same email as before would be great. I have some serious catching up to do with your Haute Route write-up, but I'd rather wait til I can digest it, rather than a quick scan!